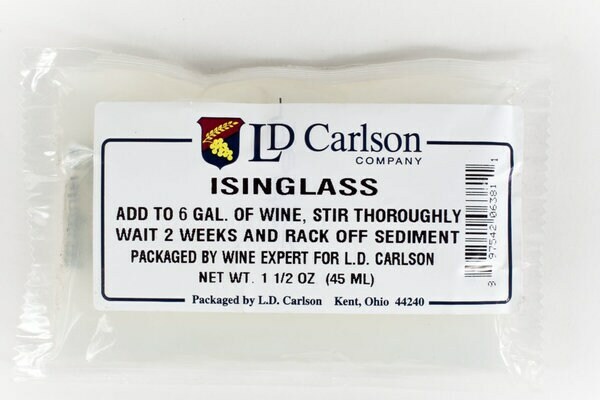 Isinglass is used to help clear sediment from a beer or wine. Treats up to 6 gallons. Add to beer or wine just after transferring into the secondary fermenter. Allow at least two weeks for the beer or wine to clear, but it may clear in as little as 3 days.